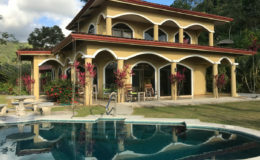 Villas Cascada is an amazing Costa Rica vacation rental Tres Rios, Osa region. 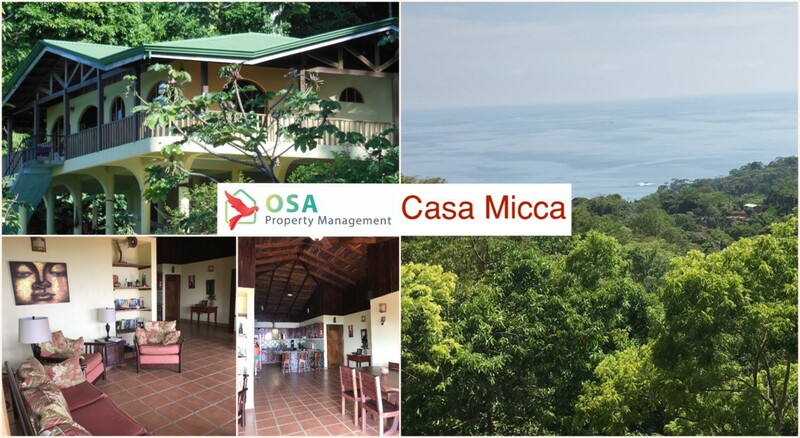 This three bedroom home has spectacular ocean views and sunset views from almost any room in the home. 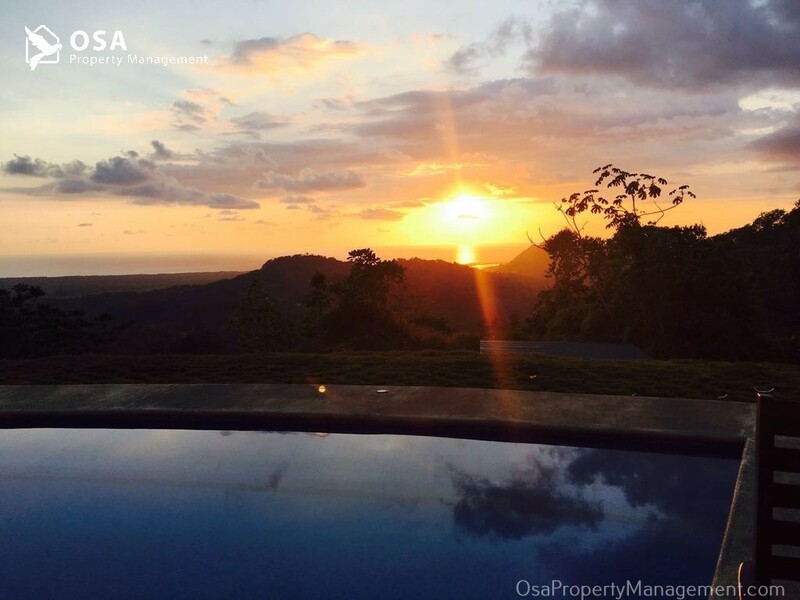 However, the best sunset views are seen from the back patio and beautiful swimming pool. 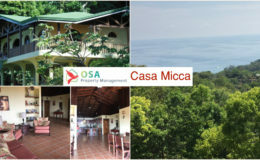 "Cascada" is the Spanish word for 'waterfall'. 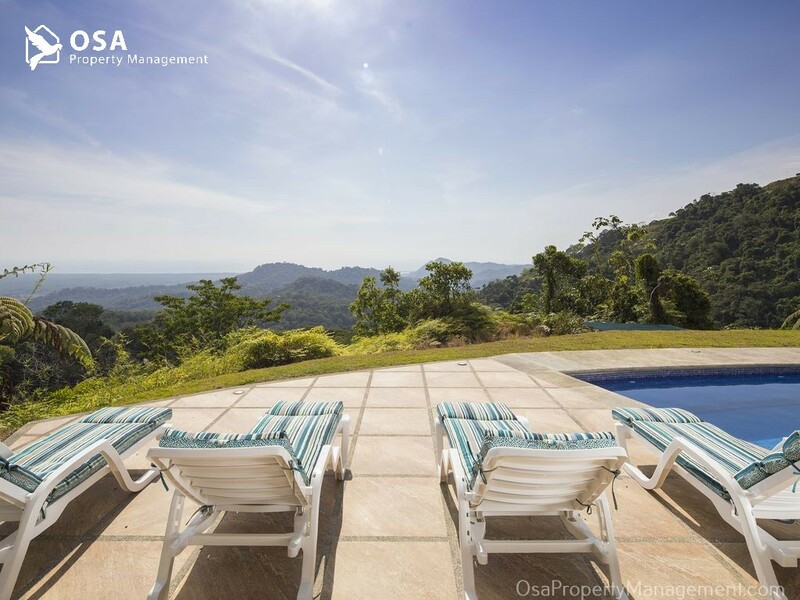 This home rests on over five acres of land and has several waterfalls within walking distance. 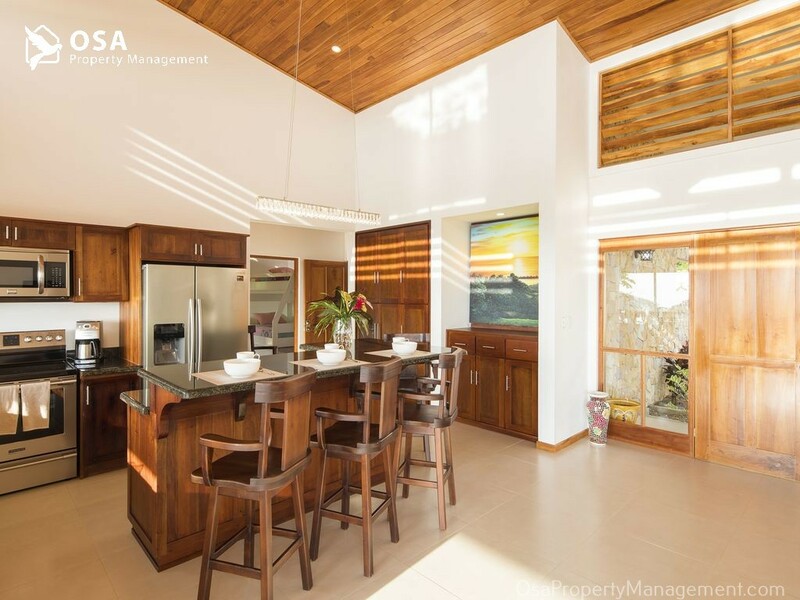 The open floor plan allows guests to easily move between the kitchen, the living room and the outdoor patio. 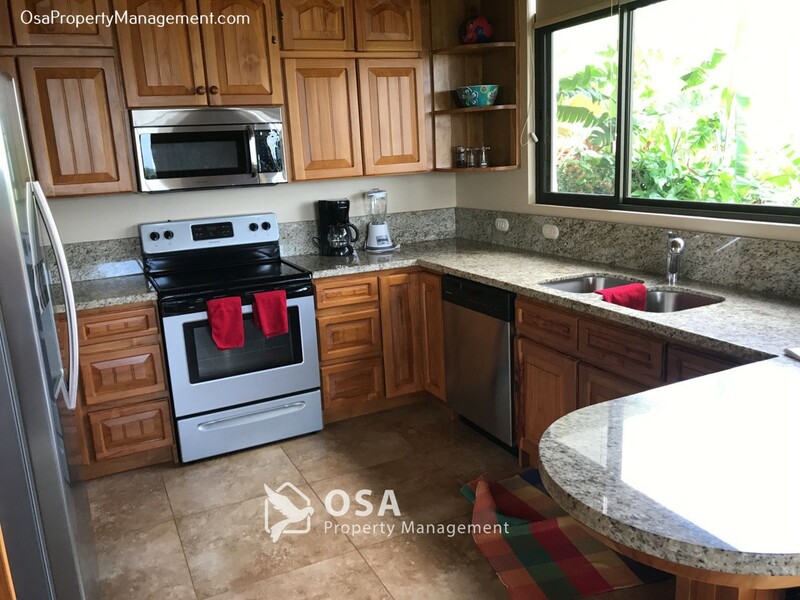 The kitchen is stocked with all major and small appliances to ensure a wonderful vacation. 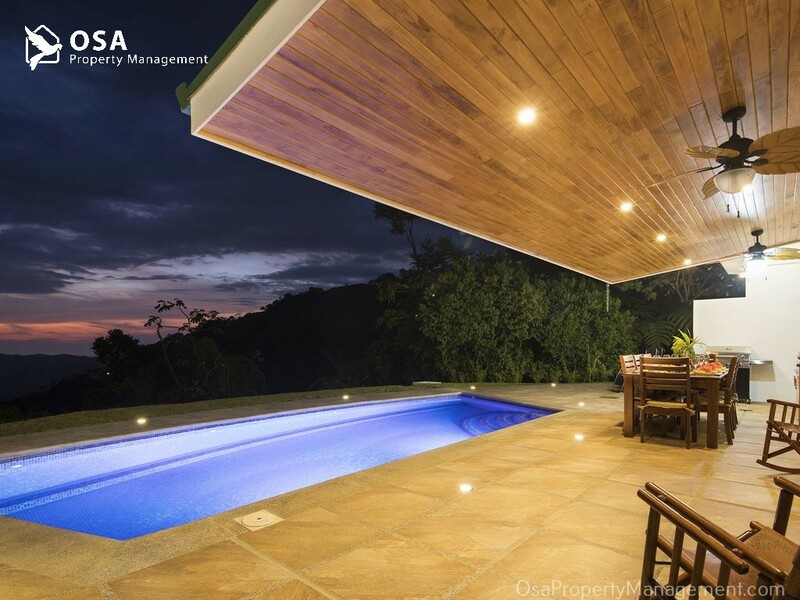 Outside on the spacious deck are two types of grills: one heated with charcoal and one heated by propane gas. 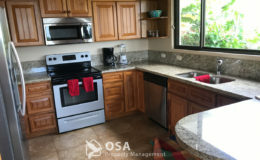 Additionally, there is a sink and preparation area, and seating for eight people around a large table. 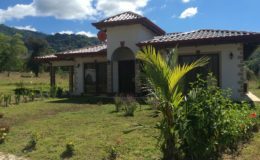 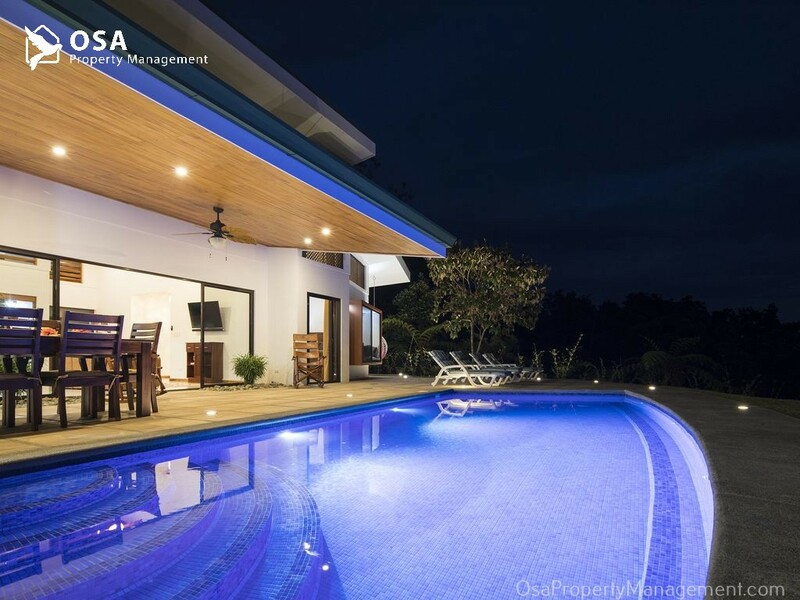 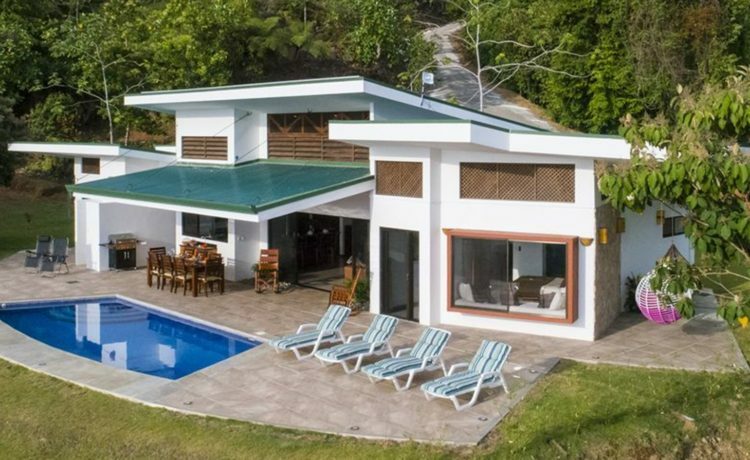 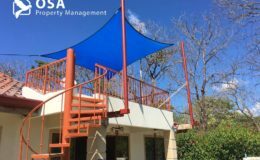 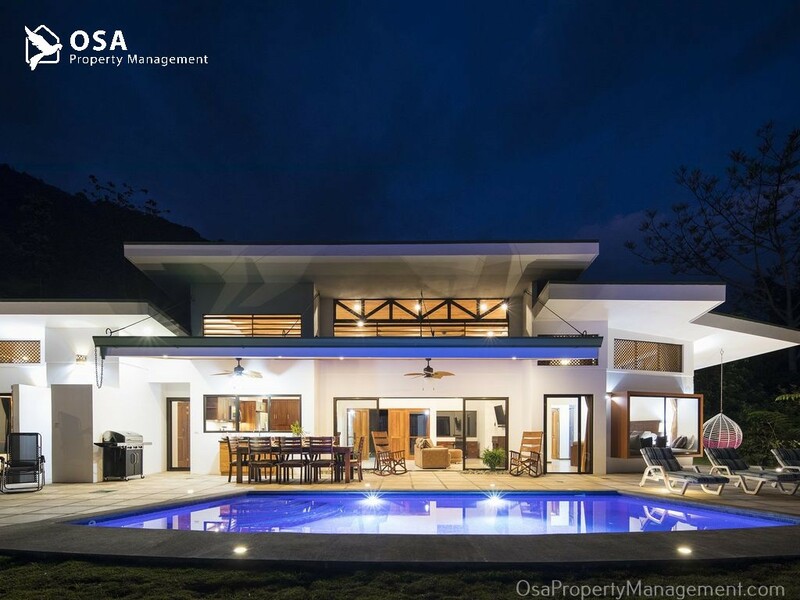 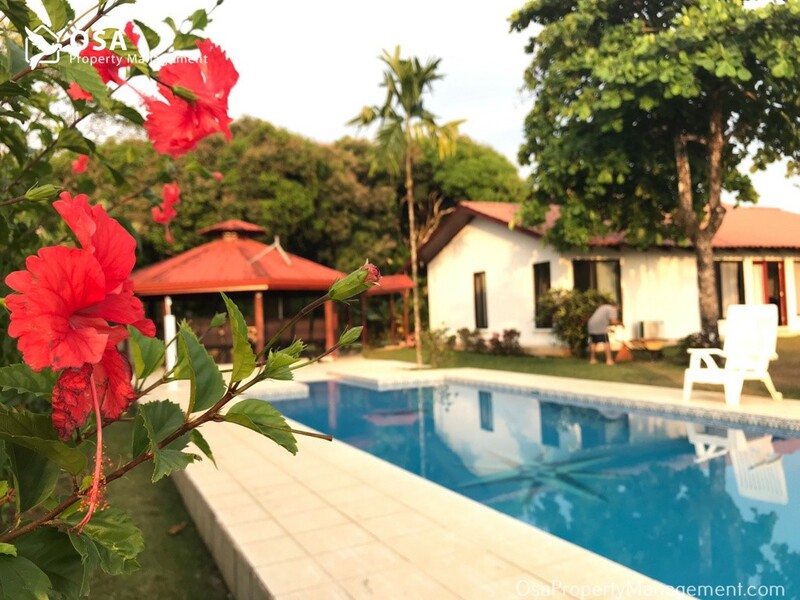 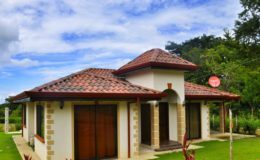 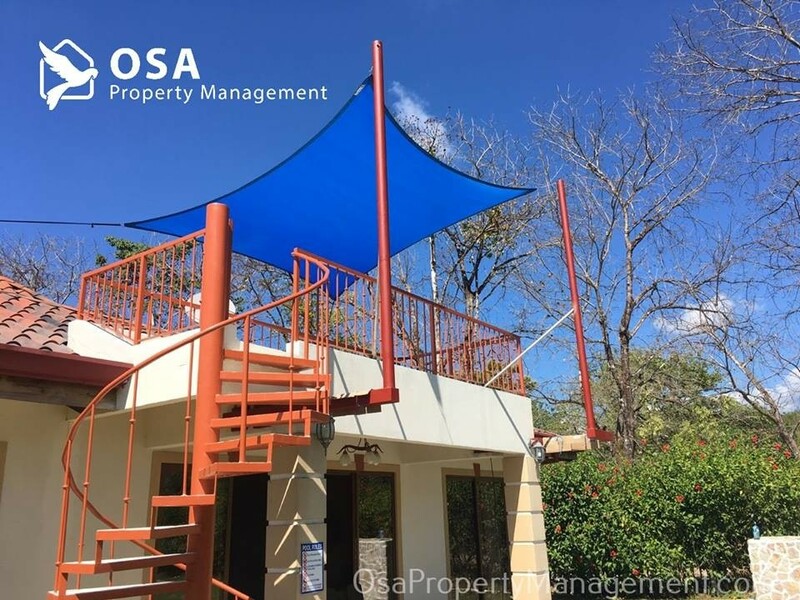 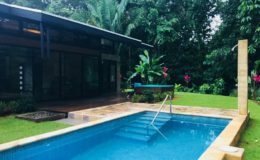 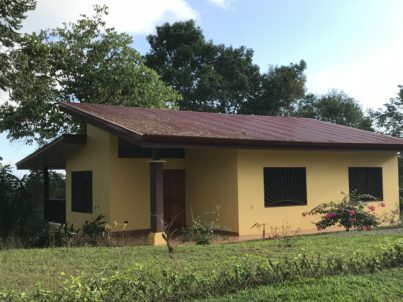 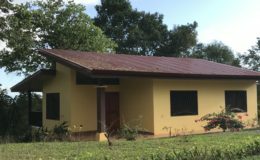 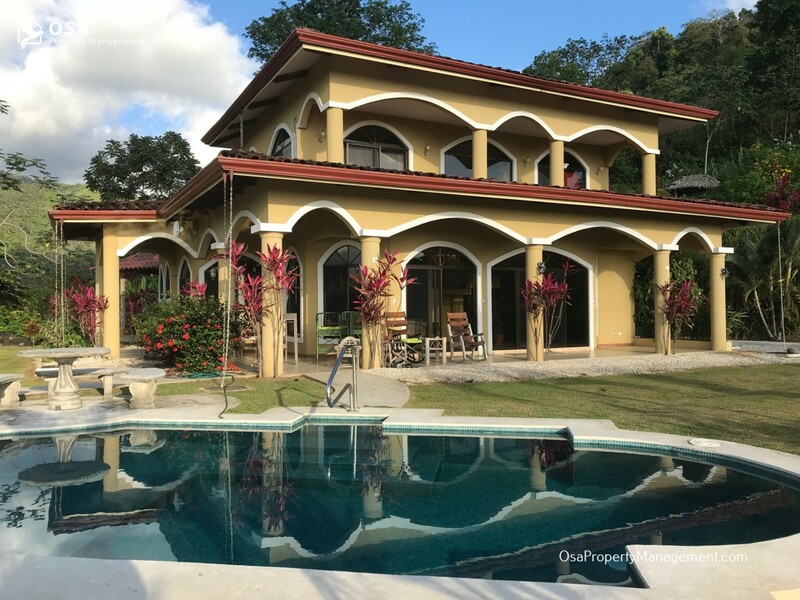 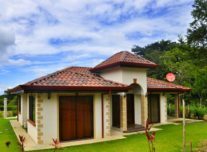 This Costa Rica vacation rental Tres Rios was built only a couple of years ago, and incorporated all the modern designs and amenities one would expect in a home of this quality. 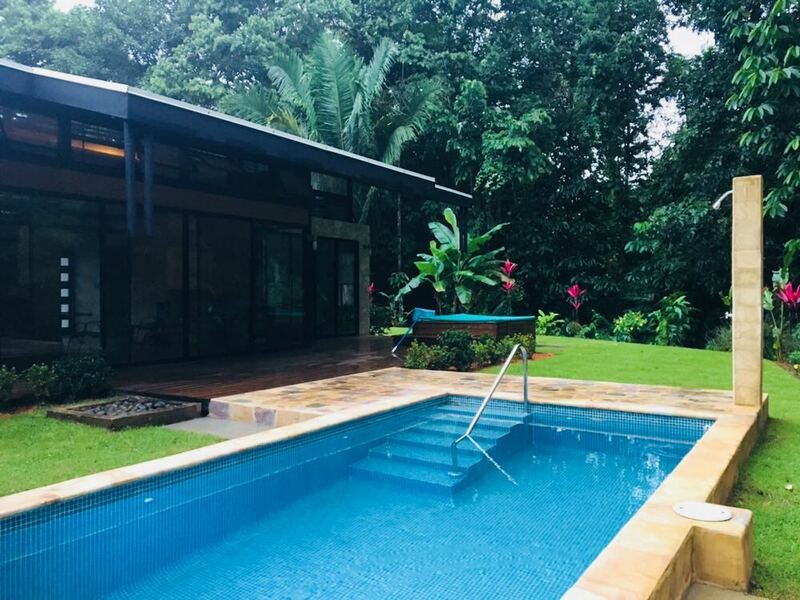 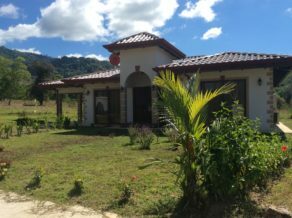 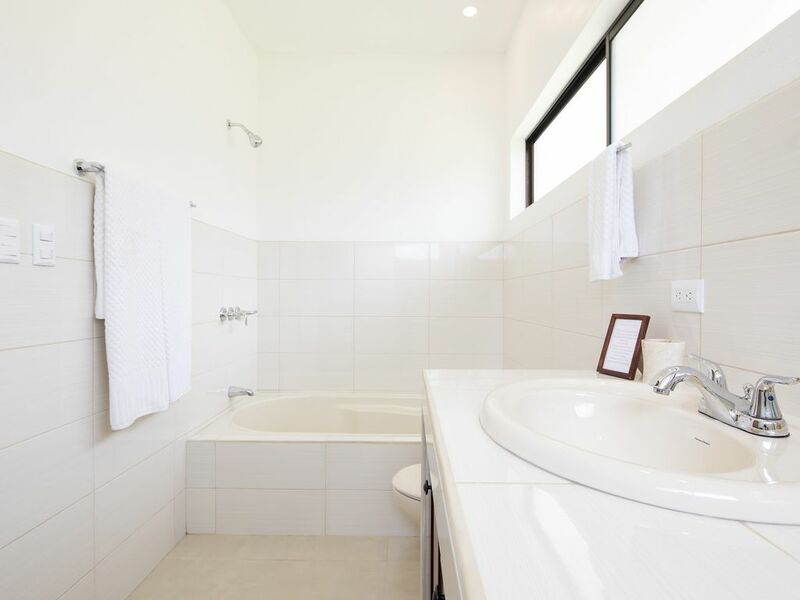 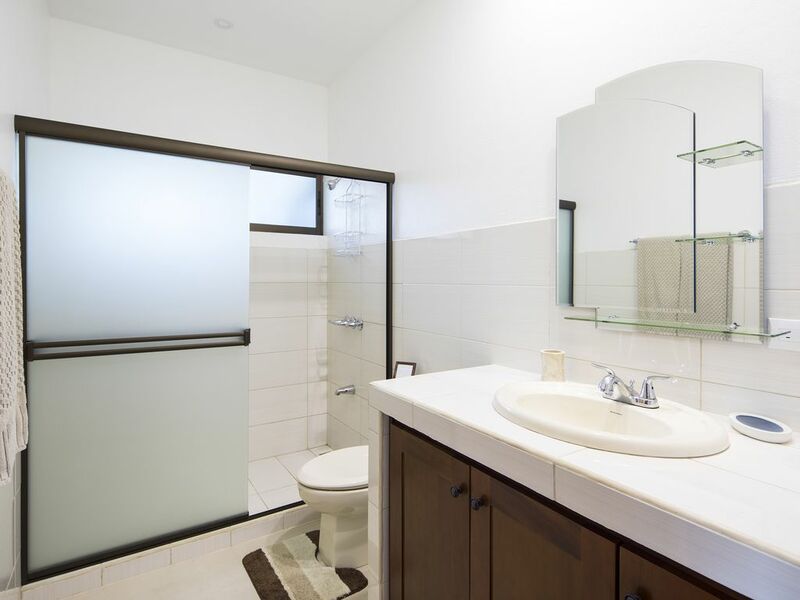 However, there are very few homes in the Tres Rios region that have been built to these standards and with so many beautiful finishes and amenities. 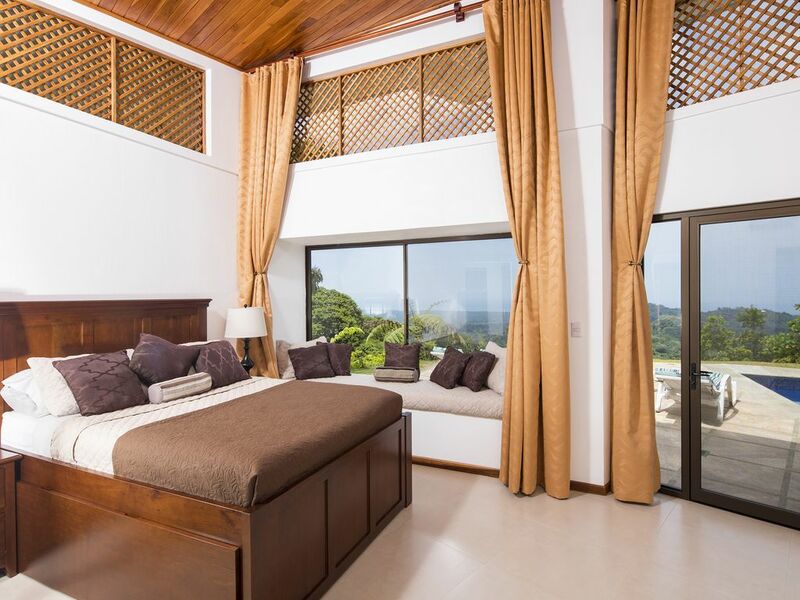 The Master Suite has incredible views of both the pool and the Pacific ocean, private bathroom and large king size bed. 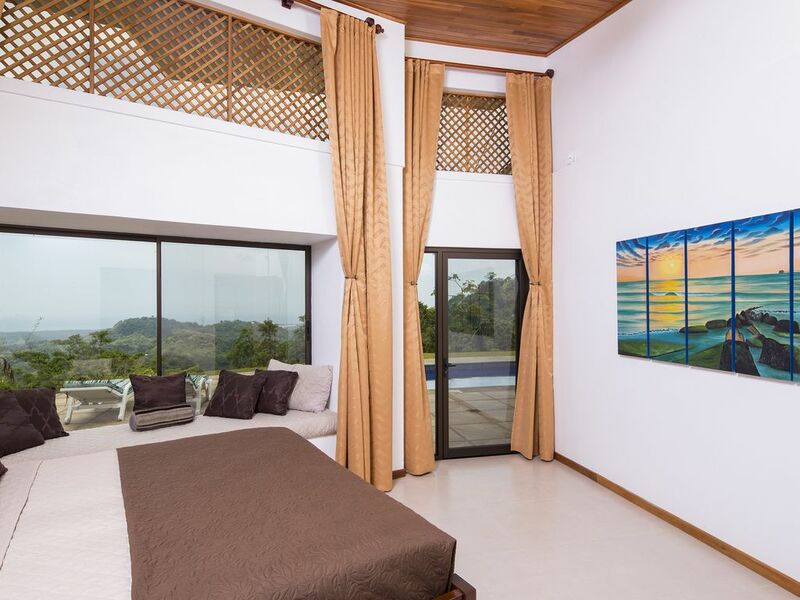 The Master Suite is on the opposite side of the other two bedrooms providing incredible privacy within the home. 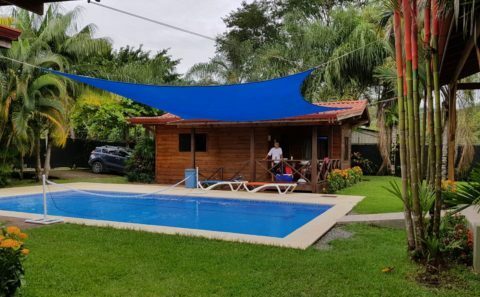 On the other wing of this Costa Rica vacation rental Tres Rios, are the other two bedrooms. 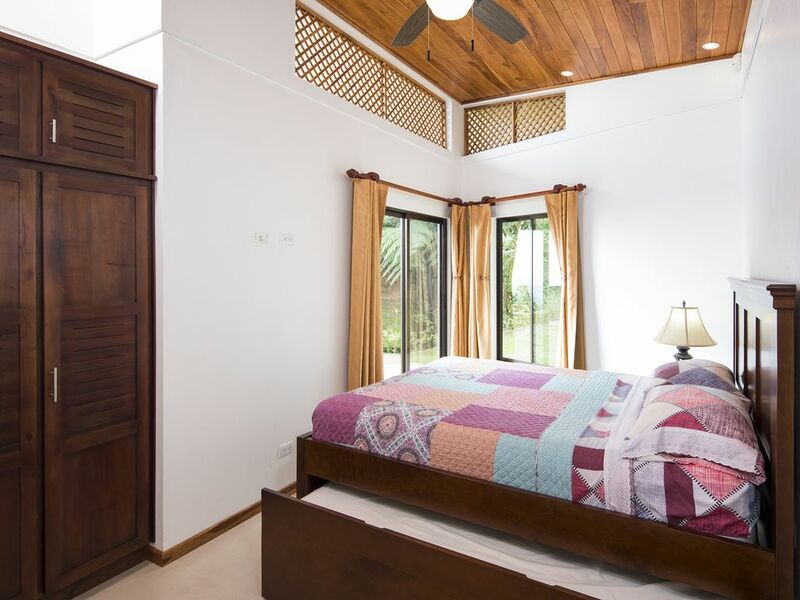 The second bedroom has a queen size bed, with a slide out bed beneath it. 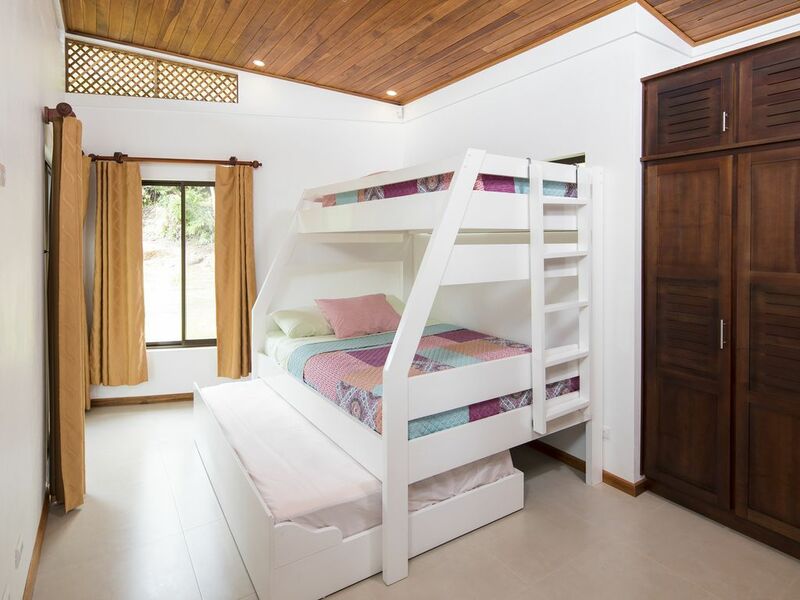 The third bedroom has a set of bunk beds that can expand to sleep 3.